Your wedding day is one of the most important days of your life! 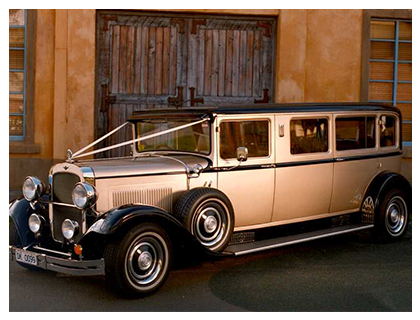 Whatever the vision for your big day, your choice in wedding car hire is integral to the flow and tone of your day. 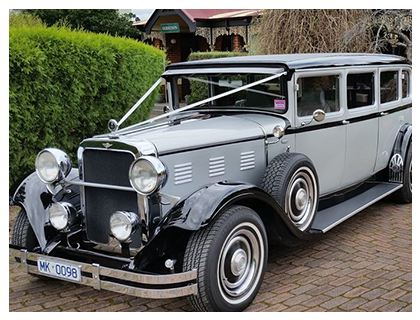 Arriving safely and in style in Hot Rod Heaven’s stunning classic cars creates a sense of elegance for you and your guests. 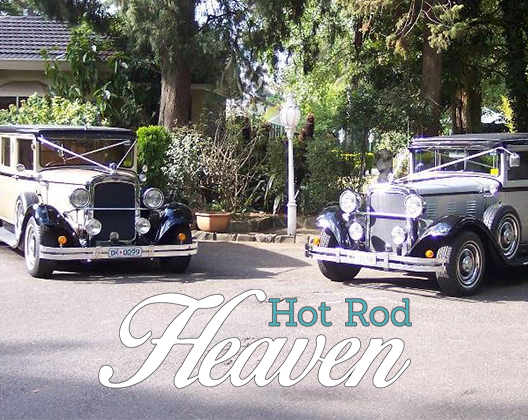 At Hot Rod Heaven, we understand how important it is for bridal couples and their support crew to feel comfortable and safe, able to focus on the excitement and romanticism of the day. 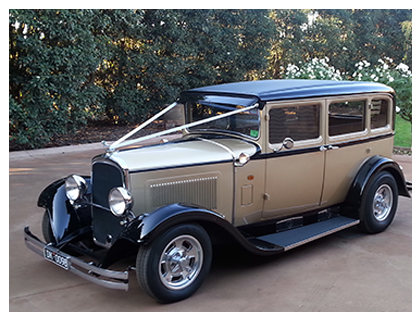 The right wedding car hire also plays a role in creating stunning photos that last a lifetime. 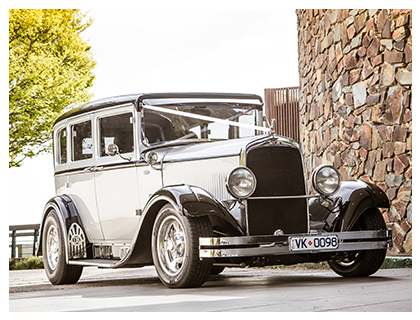 Beautiful, enhancing backdrops are a photographer’s dream – our cars have a timeless charm and romantic sophistication that are hard to beat! With a number of beautiful, classic cars to choose from, you can put your trust in the team at Hot Rod Heaven. We’ll make sure you arrive safely, in style and comfort, and make the beautiful entrance you’ve always dreamed of!